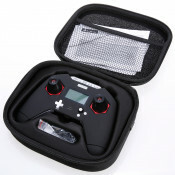 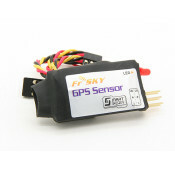 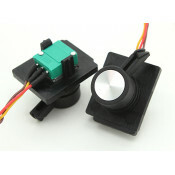 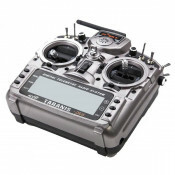 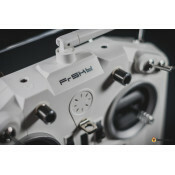 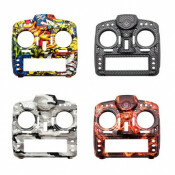 FRSKY have emerged as a leader in the RC Industry due to great reliability and great build quality of their products, recently developing the Taranis 2.4Ghz Radio Transmitters using the Open TX Firmware, FRSKY also make Plug in Modules to convert older style 35Mhz Transmitters to more reliable 2.5Ghz using their ACCST Frequency hopping system that has a proven track record to be VERY reliable even at extended ranges. 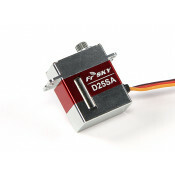 We also stock a varied range of FRSKY receivers to suit any need including FASST Futaba compatible receivers, long range receivers, telemetry receivers, receivers with SBUS and CPPM and many leads and Sensors to complement the large Frsky Range, we also now stock Frsky Servos. 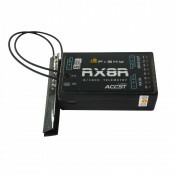 FrSky RX4R 4/16CH PWM Receiver with Smart Port & SBUS - EU LBTThe RX4R is a standalone receiver ..
FrSky RX6R 6/16 channels receiver PWM SBUS Outputs - EU LBTThe RX6R is a standalone receiver with al..
Frsky 40A Current Smartport Sensor.This unit can be used to measure the current draw up to 40 amps i..
Frsky 90 Degree Antenna Adapter.If you need your module antenna to point 90 degrees then this is wha..
FrSky Receiver Upgrade Lite to use with you USB cable to update your Frsky receiver/module.This adap..
Frsky Air Speed Sensor - High Precision (ASS100)The FrSky air speed sensor was designed for the FrSk..
frsky battery voltage sensorBattery Voltage Sensor FrSky Battery Voltage Sensor is provided as Two W..
Frsky D8R-II PlusThe D8R-II Plus is a slight change from the older D8R-II. 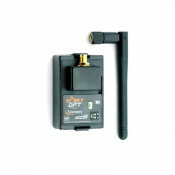 It allows the user to sel..
FrSky D8R-XP Channel Telemetry 2.4ghz ReceiverThis FrSKY ACCST 2.4GHz 'D' series (Two-Way - send and..
Frsky Delta 8ch ACCST / A-FHSS / S-FHSS / FHSS 2.4ghz RecieverThe FrSky Delta receiver is a multi-br..
Frsky DFT Plug in Module (Futaba)The DFT Plug in module is a great and inexpensive way of converting..
FrSky TFR4 SB 3/16ch 2.4Ghz S.BUS Receiver FASST Compatible (with SB ports)The TFR4SB 3-channel rece..
FrSky G-RX6 with variometerThis FrSky G-RX6 is designed to be used with Gliders. 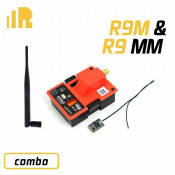 FrSky built a vario..
FrSky G-RX8 8/16CH ACCST PWM SBUS Receiver with Vario and Baro Sensors - EU This receiver is designe..